On Valentine’s Day we have updated our Plug-In for encrypted emails to Version 3.2 for even more privacy. This version runs under Outlook 2010, 2013, 2016, 2019 and Outlook 365 (Install Version) on Windows 7, 8 and 10. Also running on the Windows Server 2012 version (tested). 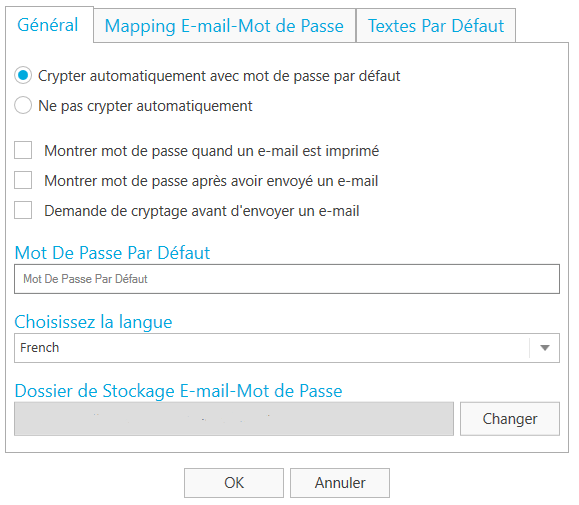 In addition to our German version, we now also offer a french version of our encryption Plug-In. The new language can be selected either during the installation process or within the “Preferences” window in our Plug-In for more privacy. The PDF cover sheet can now be removed. The “Attachment settings” now offer a new option to remove or change the position of the PDF cover sheet. We have added a new feature to our Plug-In. It is now possible to put your attached documents in an encrypted ZIP archive. Head to the “Attachment Settings” to select this encryption method. “EncryptedContainer.pdf” files have been renamed to “EncryptedFiles.pdf”. The “Send encrypted Crypted Email” button is only visible if a default password has been set. Bugs have been fixed (if reproducable). You may download the new version from the Download Page and backup your password2email list before installation. You should be able to install OVER the existing installation, but please end Outlook before you do so. Existing licenses will continue to work! No matter what email service or email provider (gmail, hotmail, etc.) you use, our Outlook encryption plugin will work for you to secure your data and to make sure your email encryption is handled properly.